Internet marketing is a simple and effective way to make money. With over 4 billion people using the internet in 2018, there’s no shortage of opportunities. According to the U.S. Commerce Department, consumers spent $453.46 billion on internet retail in 2017. A 16% increase compared to 2016. As we can see, the demand from online shoppers is there. Forrester predicts that online sales will make up 17% of U.S. sales overall in 2022. According to Strategy Analytics, digital advertising made up 38% of advertising expenditure (a 12% increase over the previous year). More and more companies are focusing on making money with online marketing. No? Thought so! Then read on as we take you through the journey that will be rewarding over and over again. So what is internet marketing? It’s a big term but there’s no need to be intimidated by it. Let’s break it down. Internet – everything that’s online. Marketing – reaching people wherever they are. So internet marketing is all about reaching your target audience online. Great. But just how do you do that? After all, the internet is a huge place. That’s why there are so many definitions of internet marketing. But, we’ve already given you the true definition. Whether your business is big or small, local or international, internet marketing will benefit you. Because most of your customers are somewhere online! 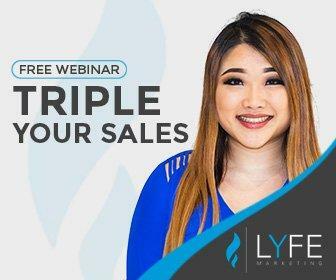 And even if you make all your sales offline, there will be at least one online marketing strategy that will bring more people to your doorstep! And it’s cheaper than you think. Sound good? Then let’s begin exploring how you can make a profit with internet marketing. Traditional, pushy advertising no longer works. You know it, I know it, and everyone else knows it. Once upon a time people didn’t have any control over what they watched and heard. We had to suffer through relentless ad after relentless ad. But those days are gone. Nowadays we have far greater control. We have commercial free radio and TV streaming stations. We have popular websites with paid subscriptions that offer users the benefit of not seeing ads. And of course, we have free adblocker extensions for most web browsers. Now this isn’t to say that all online ads don’t work. Paid advertising still works. But the traditional way in which ads were used before no longer works. We’ll get into this topic more in the Search Engine Marketing section. The point is that traditional advertising is out, and internet marketing is in. Scope of reach – many customers to reach with your product or service offerings, available 24 hours a day, seven days a week. Deliver more effective, personalized content instantly. Greater customer retention and relationship building through direct two-way conversations. Now with all that being said, internet marketing is so big that it can be hard to separate the wheat from the chaff, so to speak. How, then, does one decide which methods are superior for long term success and aren’t just flukes or gimmicks? The answer is testing. Before you invest too much into one internet marketing channel, you must test. More specifically, you must run A/B tests. A/B testing means comparing two different versions of something (a web page for example) to see which one produces better results. A/B testing can be done with everything, even pictures. For example, which color on a CTA button does your target audience respond better to? With so many unknown factors, A/B testing can feel overwhelming. The key is to start on a solid foundation. That means doing in-depth research on your target market. First you need to know where your target audience is. Then you can start marketing directly to them. Are they on Facebook? If so, then how do they usually access it? On mobile or PC? If you aren’t sure, then looking at industry wide trends can help shed some light. For instance, it has been reported that 68% of time spent on Facebook is through mobile devices. Learning these types of facts will help you understand your target audience’s habits, and allow you to develop a focused internet marketing strategy. And speaking of strategies, there are many different ones. To find the best strategy, you must have goals. For example, if your goal is to attract new customers, you’ll want to focus on paid social media ads and improve your website’s design. Your website design should not be confusing or unhelpful – that would drive people away from your website! In the rest of this post, we’ll be looking at the different types of internet marketing strategies and how best to use them. We’ll start off with social media marketing, which is the best way for a new business to start advertising online. According to Statista, in October of 2018, 4.2 billion people were active internet users and 3.4 billion of them were social media users. 80% of internet users are on social media! Make no mistake about it, social media marketing works and it’s here to stay. But despite these numbers and the amazing success businesses have had marketing on social media, many still haven’t embraced it. The main reason? They aren’t sure if they’ll see good returns. They don’t know how to correlate their social media marketing efforts with sales. Fortunately we’ve covered this topic in great detail in another post. Check it out if you’re worried about how to measure your success on social media. Our blog is a great resource for all things relating to social media. It’s a huge topic and one blog post can’t do it justice. There are many different social media websites all with their own unique methods. Popular platforms include Instagram, LinkedIn, Pinterest, Twitter, WeChat, WhatsApp, and YouTube. And then these platforms all have unique features, like Twitter Chat, Instagram Surveys, etc. But in this post, we’d like to point new business owners to Facebook. Facebook is the most dominant social media platform, with over 2.23 billion users. One of the reasons why it has so many users is that it’s easy to sign up. Creating a Facebook business page is quick and simple. You can do it in less than an hour. But I’m not telling you not to have a website. Having a website is absolutely essential for giving you more control over your online presence. In fact, ideally you should have both a website and Facebook business page, with both linking to each other. Having both a website and a strong social media presence will lend your business more credibility in the eyes of consumers. It will also help you show your business’ incredible personality and allow you to engage directly with customers wherever they are. The reason why we recommend starting with Facebook, is that it can be overwhelming trying to break into multiple social media networks at the same time. In fact, if you go all in on social media marketing, it becomes a full time job! Therefore, we recommend starting small and scaling things up, unless you’ve got the funds to hire someone to manage your social media accounts. And finally, to wrap up this section, we want to mention something that businesses, new and old, often overlook – online reviews. Many business owners choose to ignore this aspect of social media. And yes, online review aggregator sites are social media. They ignore them because they think they have no control over them. But you do have some control! In fact, you can easily increase the number of positive reviews simply by asking your customers to leave reviews. If your product or service is good, then any unfair negative reviews will get buried by positive ones. Interestingly, Facebook tends to attract more positive reviews than negative reviews (another good reason to be on Facebook)! On the other hand, negative reviews typically come from online review aggregator sites according to a Dimensional Research survey. Now let’s move on from social media and talk about the next internet marketing strategy that new business owners should know about: SEO! SEO, or search engine optimization, is all about optimizing your website for search engines like Google, Bing, Yahoo, etc. The goal of optimizing your website is to get on the first page of Google by providing the best possible experience to Google’s users. That last part is the key, and what this section is all about. But let’s get one thing straight first – SEO takes time. It’s a long term internet marketing strategy. Unlike with paid ads, your business won’t get instant visibility. Ranking high in the search engines takes time. It can take a few months for a web page to rank on the first page even if you do everything right. But that’s no reason to lose heart – if you read our blog and follow through on what we teach, your website will rank higher. And when you do finally rank on the first page, the benefits are incredible! Organic reach. Organic in marketing terms means “free.” So ranking on the first page means free reach and traffic to your website. Good CTR: click through rate will be higher compared to SEM/paid ads on the first page. Trust: searchers tend to automatically trust businesses that appear on the first page. This is because they expect that Google is providing them with the best possible browsing experience. So, now you’re sold on the benefits of SEO. Great! But with so much to learn about SEO, where do you even start? The answer is to start with the basics. There are two kinds of SEO that you need to know about – on page SEO and off page SEO. You’ll want to take care of your on page SEO first. On page SEO is all about providing the best possible experience to users on your web page. Hence the name “on page” SEO. As opposed to off page SEO, which are activities done outside of your website that can improve SEO, such as social media promotion, guest blogging, backlinking, etc. There are a lot of factors that go into on page SEO. We’ll list some of the most important ones here, and then you can go from there. Well optimized website: how easy is your website to use? Is it fast enough? These things factor into how Google will rank it. If you think that there are too many things to fix on your website, then don’t worry because we’ve got you covered. Make your website URL easy to read: this same advice also applies to any kind of URL including Facebook page URLs. Keywords: these are words that relate to your business. For example, if your business is a car washing service in Atlanta, Georgia, then one of your target keywords would be: car washing service Atlanta. These keywords are the words that people will search on Google. Therefore you want your business to appear on the first page when someone searches for those specific keywords. Keyword optimization: this is all about optimizing your keywords, basically sprinkling them into the right places on your website. This topic can be quite extensive, but some of the key places you that want to put keywords are in your headlines, subheaders, meta descriptions, image text, your navigation bar, and all throughout your content (but without overdoing it). Headlines and subheaders: putting relevant keywords into your headlines will help users read your content easier, providing them with a better experience and improving your on page SEO. Meta Description: this is the description that appears below a link in the search results. Putting your keywords into the meta description will make it more compelling for people who are searching for those keywords. This will improve your CTR and thus improve your ranking over time as more and more people click onto your website. Keyword stuffing: this means excessively putting your keywords into your content. This used to be a cheap tactic for beating Google’s algorithm and ranking lower quality content higher. But Google has greatly improved their algorithm since then, and any website that tries to do this now will be penalized in the search rankings. The lesson that we want you to take away from this is that using keywords just for the sake of it likely won’t improve your SEO. The reason why it’s a good idea to use keywords in appropriate places (like your meta description) is that they can improve indirect ranking factors, like CTR for example. But don’t “overdo” your keyword usage anywhere! Always put yourself in the searcher’s position – would you want to read the same keywords over and over again when it isn’t necessary for comprehending the content? In conclusion, when it comes to SEO, there’s no magic method for ranking #1 immediately. This is because Google looks at the user experience over time. Unless you own a high authority website like CNN, then don’t plan ranking on page one (or being indexed at all) for your keywords right away. Now let’s look at SEO’s paid cousin – SEM. SEM stands for search engine marketing. And don’t get confused about that term – it simply refers to paid advertising on search engines. The most popular form of paid advertising is pay-per-click, most commonly referred to as PPC. With SEM, it’s not a matter of whether or not you’ll appear on the first page, like it is with SEO. It’s a matter of if you can come out ahead doing so. Google has put out several case studies that have encouraged new business owners to sign onto the platform. These case studies showed that ROI for some businesses was higher than any stock or real estate investments could be: 5x, 10x, and even 20x the money spent on ads. Sounds amazing right? So how does PPC work and can it work for everyone? There are two types of PPC ads: display ads and search ads. Display ads are shown to people anywhere on the internet. The advantage of this type of ad is that it can introduce people to your business even when they aren’t looking. With search ads, you choose keywords for your ad. So when someone searches for those keywords, your ad will appear at the top of their search results. Google and Bing are the two most common search ad platforms. With search ads you’ll be bidding for the keywords. So if your target keywords are highly competitive, then you’ll have to bid more money in order for your ad to be shown at all. And when your ad is clicked, you’ll have to pay an amount close to what you bid for. So depending on how competitive your industry is, PPC can be very expensive. Some competitive keywords can cost several hundred dollars per click! Therefore you need to be able to recoup your ad expenses quickly, because the costs can rack up. Our advice for most businesses: if you’re still in the beginning phase of trying to build up an audience, then don’t start with PPC. Because if you’re not careful, then you’ll run out of money before you see any decent returns. But if you do feel ready to try PPC advertising, then I recommend giving our recent post on PPC a read. If you really want to succeed with PPC, then you need to think beyond “cold advertising,” or the idea of showing your ad to everyone in the hopes of making some sales. Bidding on competitive keywords that are too hard to rank organically for. Remarketing to people who have already found your website via organic search. Doing A/B tests of ads to see which ad works best, and then using it for one of your landing pages. The possibilities with PPC are endless with the only limit being your pocketbook. And finally, we come to the online marketing method that’s creating all the buzz right now – content marketing. Doing content marketing means creating great content with the purpose of bringing your target audience to your website. If people like your content, they’ll keep coming back for more and more of it. The reason why this method is getting so much attention is that it’s literally the present and future of internet marketing. Content marketing integrates perfectly with today’s generation. It addresses our pain points and is there, on demand, when we need it. In fact, the term content marketing is often used interchangeably with internet marketing because of how effective it is! But even though it’s the key to internet marketing – it’s also the hardest method. That’s because creating good, quality content is hard. To create content that will inspire, educate, or solve difficult problems is no easy task. But the world needs it, and that’s why content marketing will always work. So without any further ado, let’s look at the different methods of content marketing that work great for building up an audience, and ultimately, sales. If you’re serious about internet marketing, then having your own blog and maintaining it is mandatory. Your blog will be the foundation for all of your content and posts; they’ll all point back to your website. With your blog, you want to publish a variety of different content to reach more people on the internet. This means coming up with a list of target keywords and making a blog post or web page for each one. For example, if your target keyword is “cheap Atlanta homes” then you might want to write a post titled “Find Out Where You can Buy Cheap Atlanta Homes.” And you would follow the tips we wrote in the section on SEO. Blogging isn’t only a great way to bring in new customers. It’s also a way to show your target audience that your website is both useful and current. Having a blog will increase the overall ranking of your website. For example, one of your blog posts might rank higher than your store pages. But over time your blog post can assist in pulling up the ranking of all the pages on your website! After you’ve setup your blog, it’s time to start thinking about what are the best content marketing methods for your business. We’ll go over some of them here. After blogging, image and video marketing are two of the most popular internet marketing methods. That’s because they’re easy to consume, entertaining to watch, and they appeal to the attention span deficit that internet surfers all have. With image marketing, there are infographics. These are fun and visual charts, graphs, pictures or illustrations, much like the one here that we created. For those of you who don’t like the idea of writing long in depth articles (like this one), then you might want to consider doing podcasts. If you’re a good speaker/interviewer, then this will be a great way for you to share information with your target audience if they like to listen to podcasts. A case study is an in depth look at an action that achieved measurable success. So if you write a case study that pertains to your business, then that’s a great way to build trust with your audience. A case study could be your own business accomplishments or those of others in your industry. By doing an online press release, you’ll get covered by other major media outlets and gain more exposure for your business. Furthermore, your search engine results page (SERP) ranking will be positively affected. And finally, you’ll gain access to another local news outlet’s audience, which can be very useful if you’re running a local business. To be fair, email marketing is still a huge part of internet marketing, and deserves its own section. But it’s not something for an internet marketing novice to jump into, so we’ll just link you to our blog post about it here. So that’s it! We’ve gone through the main categories of internet marketing. You now know that online marketing works, traditional advertising is out, and that each method of internet marketing is suited for different purposes. You should use this blog post as a resource and guide for branching out your business into the online world. There are many links throughout this post that will help you do just that. If you’re ready to put one of these methods into action, then give us a call today. We’re ready to help!